Down below the forward cabin has an offset double berth and plenty of storage and the second cabin has single berths giving her a versatile layout for couples with guests or families cruising together. The saloon is comfortable and light and airy and she is kept well and smells clean and fresh. I particularly like the all electric galley, well equipped yet uncluttered with usable storage and lots of work surface. 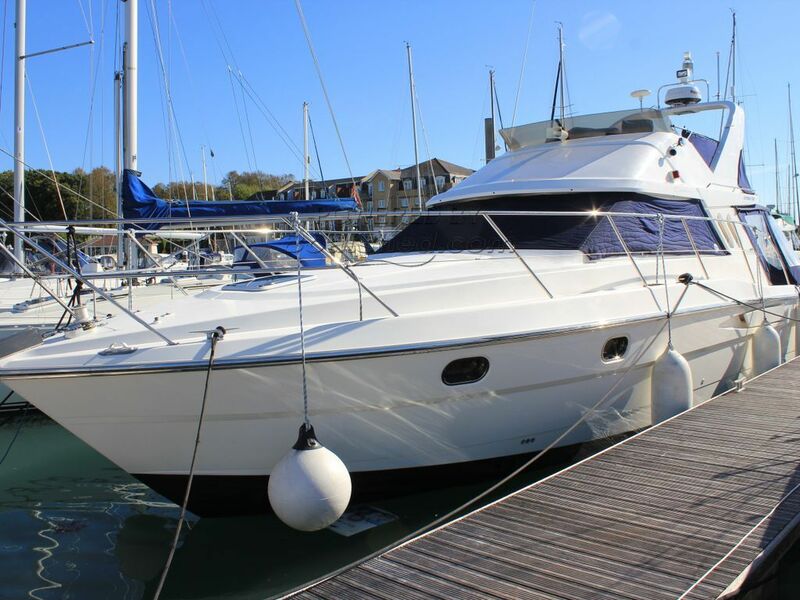 This Fairline Corsica 37 has been personally photographed and viewed by Corinne Gillard of Boatshed IOW. Click here for contact details.